This is the first in a monthly series of images from photographer Richard Duval called 'Pic of the Vine.' 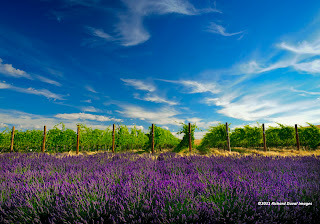 This month’s image comes from the estate vineyard of a'Maurice Cellars in the Walla Walla Valley. 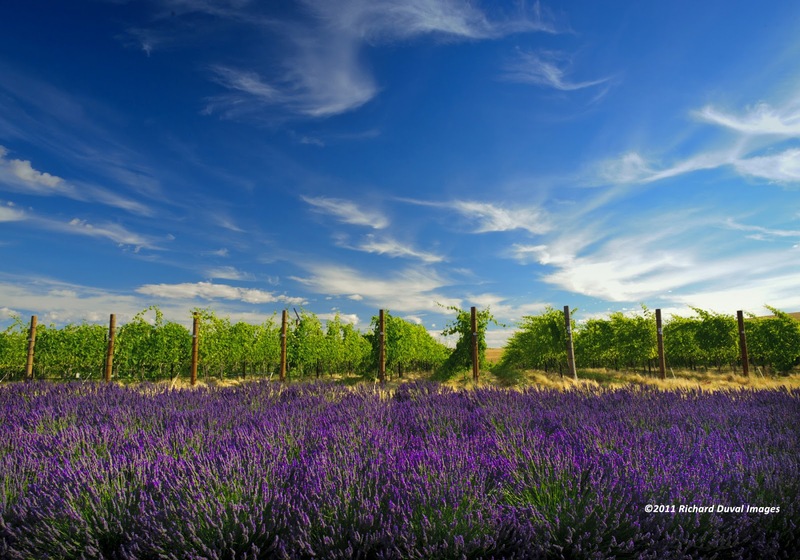 The vineyard is fronted by a full bloom of lavender. Duval notes that he first saw the scene at the end of the day drive-by on one of his frequent shooting trips to Walla Walla. The next morning he was in place for dawn’s light to illuminate the sky and the lavender field in front of the carefully tended vines. The result was this landscape that he jokingly titled “On the Corner of Lavender and Vine.” Download a screen saver sized version of this image at www.vinelines.com. Read reviews of the a'Maurice Cellars wines here.